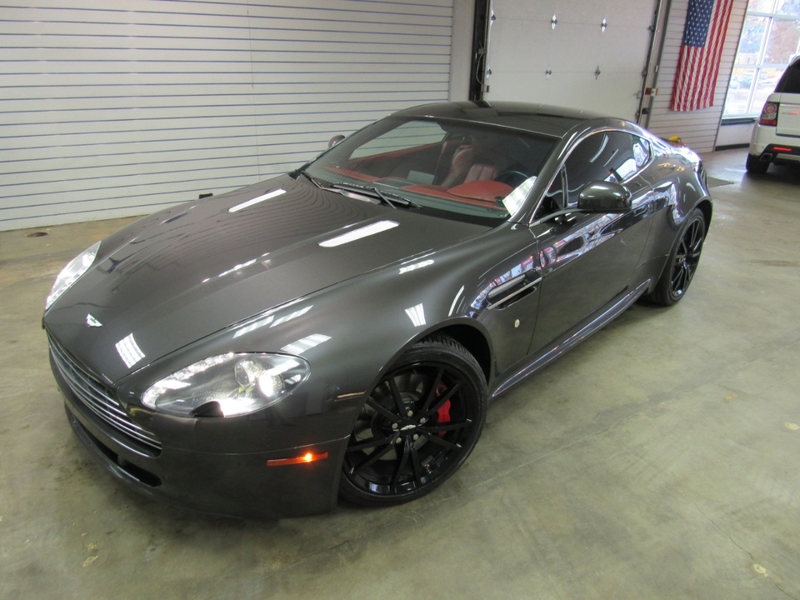 Used 2011 Aston Martin V8 Vantage Coupe for Sale in Denver CO 80220 Weisco Motorcars, LTD.
2011 Aston Martin Vantage coupe done in Dark Gray over Red leather. The Aston Martin has the 4.7L V8 good for 430HP and sounds so nice when you fire up the motor. Has nice options like: keyless entry, Blacked out wheels, Red brake calipers, power seats, CD player, and much more. All up to date on service as we has the full service done and new rear brakes. The body and paint are in very nice shape and looks so hot with tinted windows and blacked out wheels. The inside is also in very nice shape plus has not been smoked in. Call Weisco Motorcars for more info on this Aston Martin or to set up a time stop by for a look over this car. Message: Thought you might be interested in this 2011 Aston Martin V8 Vantage.